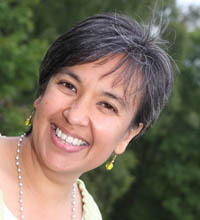 Chandra is director of Dru Scotland and serves on the Dru curriculum committee. She has facilitated courses, retreats and workshops in the UK, Europe, Asia, North America and Australasia. A senior Dru trainer and consultant for 16 years, Chandra combines authentic wisdom and clarity to create success in all areas including health & wellbeing, relationships, abundance and time management.